A new study co-published by the Asset Funders Network and the Closing the Women’s Wealth Gap Initiative examines the large gap in household wealth between households headed by men and households headed by women and suggests steps that nonprofits, philanthropy, and policy can take to close that gap. The report, Clipped Wings, is written by Jhumpa Bhattacharya and Anne Price from the Insight Center for Community Economic Development (ICCED) and Fenaba Addo of the University of Wisconsin, Madison. In it, Bhattacharya and her colleagues take a detailed look at just how gendered wealth inequality in the US is and how new government policies and philanthropic practices could change those dynamics. To do this, the report focuses on women born between 1980 and 1997, the so-called millennial generation. Bhattacharya, a report coauthor and vice president of programs and strategy at ICCED, notes that women from this generation face many challenges. 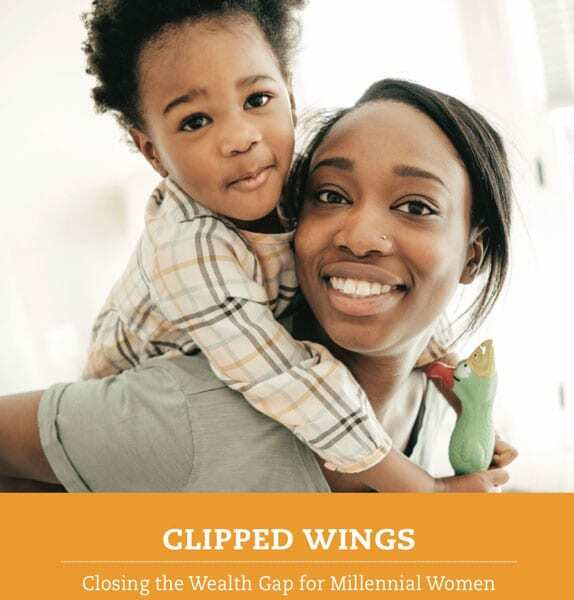 Overall, the report finds that the median wealth of single Black women born between 1980 and 1997 is almost a third less than their single Black male counterparts. Among Latinas and white women, the gap is greater, but both have median wealth levels that are about 55 percent of their male counterparts. However, it should be noted that the median wealth of single white women in this generation is still greater than that of either Latinos or Black men. The report identifies the lack of paid leave as one key factor that perpetuates inequality. In 2017, 57 percent of mothers between the ages of 20 and 37 who had babies were unmarried. But US policies still presume that most households have two parents. Combine the challenges of single parenting with rising student debt and you have a recipe for deep wealth inequality. How to disrupt this pattern? Anzilotti summarizes some key report recommendations: “The US needs more comprehensive parental leave policies that take into account the needs of single mothers, and public assistance benefits that directly support single mothers….Student debt forgiveness and criminal justice reform—including ending money bail, which financially burdens many families—would also alleviate burdens.” The report also endorses a universal basic income floor to help women and people of color build wealth by providing greater income security. In outlining places where funders and nonprofits could intervene, the report notes that “racial and gender wealth inequities…are key issues of our time” and hopes that philanthropy can help develop a framework for analysis and systemic change.